i’m slowly getting back into this update thing. i’ve been spending a lot of time winding yarn to compile the kits, so this is just a taste of things to come ;) anyhow, these are going up in the shop today. later blog posts this week will highlight each kit along with the sample i knit for the show. This entry was posted in cosyknitsliterally, cosyspins, kits, knitting, spinning, update by cosymakes. Bookmark the permalink. Gotta be quick to get the cute stuff! 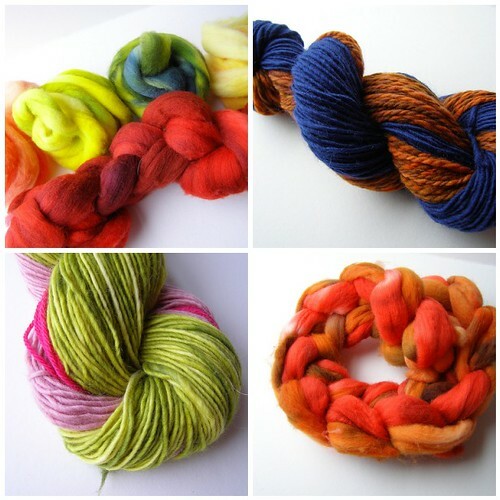 :) I just ordered the stripey spinning kit for my sister. She’s really going to love it! you are amazing! such colour. we often need it at this point in the winter!